An old boutique in downtown Molalla went up in flames last Wednesday night near the intersection of N. Molalla Avenue and W. Main Street, spreading to nearby buildings. One person escaped, and one was found deceased during a search of the building. 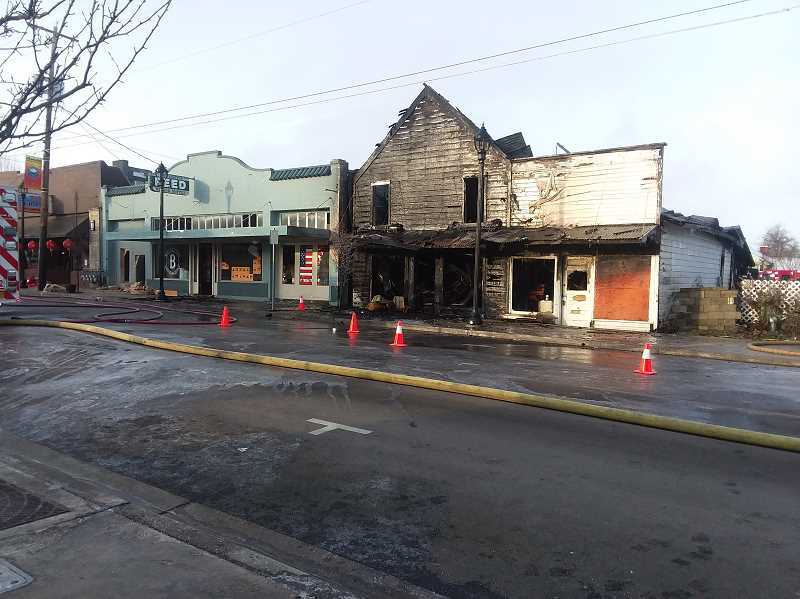 According to Todd Gary, spokesman for Molalla Fire, the primary building where the fire likely started, "the boutique," was comprised of wood and was built partly in the 1800s and partly around 1920. The building's structure and age, as well as freezing weather contributed to difficulty fighting the flames. Fire crews did not immediately realize that two people were living in the building. Gary said that Tommi Tolstead, who lived there, awoke to the smoke alarms and came out of the building. But her son, Guy Tolstead, did not emerge. "He did not come out," Gary said. The building was so damaged that crews had to use a track hoe, Gary said, to pull the pieces of the building apart as they investigated and looked for Guy. On Friday, two days after the fire, crews located the body of Guy among the wreckage. Crews consider the site a crime scene during the investigation and because there was a fatality, but Gary does not expect foul play. "Sadly, until the fire, it was the oldest commercial building in Molalla," said Iris Riley, president of Molalla Area Historical Society. "Tommi once told me it was built in 1880. 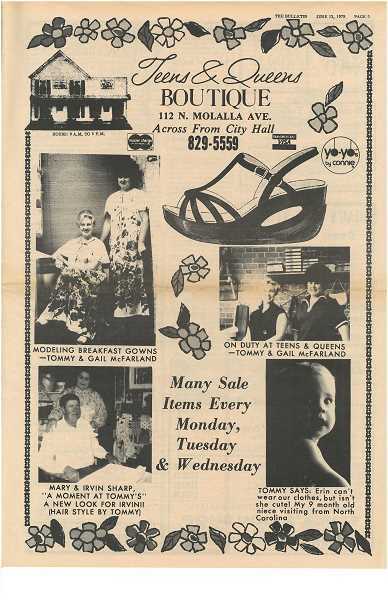 She had quite a collection of old Molalla memorabilia in her shop." Bentley Feed actually opened its doors Monday, Feb. 11, they announced on Facebook, at a new location: the former Molalla Fertilizer building at 420 Hart. Ave.
Additionally, the newly opened Thai Yo Sushi sustained smoke and water damage, and is currently closed, Gary said. The community of Molalla has rallied around the Tolstead and Bentley families, even starting GoFundMe campaigns for them.